Amazon lists it as a live recording from Brussels, Belgium. Last edited by MAS; Oct-15-2017 at 16:53. Just listening to the Abaddo recording of Simon. 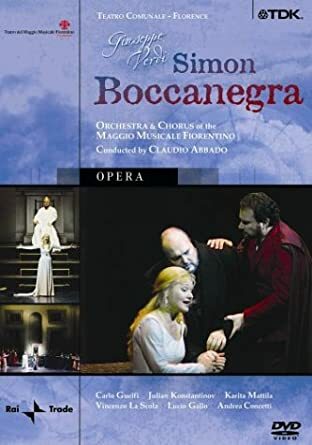 It is a fabulous opera full of intrigue and the scoring is wonderful. A flowering of Verdi's last period when he revised it. The performance is probably one of the best Verdi recordings ever made - not a weakness among the cast and finely conducted. The question is, should I get this one? I have an opportunity to pick it up for only $6 and no shipping. Last edited by Fritz Kobus; May-26-2018 at 16:06. I never ever seen that one, I would stick with Kiri if I where you. That is the decision I made. I see there are better looking productions out there, than the Abbado set. Yes Kiri will definitely be a good one. Has anyone heard the recent recording with Thomas Hampson? Last edited by betterthanfine; May-27-2018 at 18:42. Just ones, for Calleja , there are better versions. 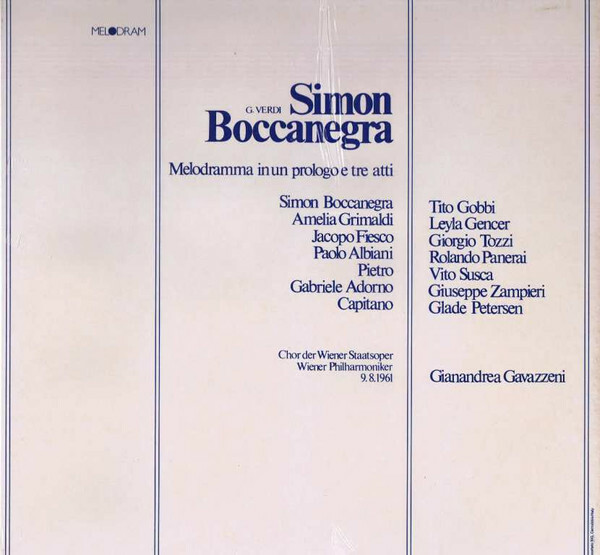 The last recording I listened to in my Boccanegra challenge was one of these performances, particularly the first. 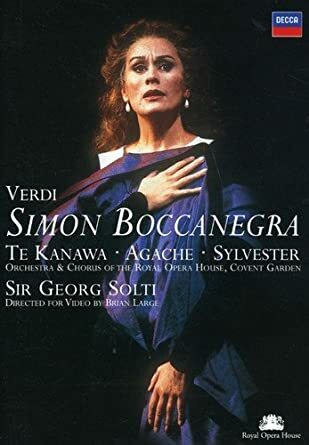 It seems that the Salzburg festival staged three or more performances that were recorded and released on long play: August 9th, August 19th and October 5th in 1961. All of them with the same cast, orchestra and conductor, but maybe not the same sound quality. It's confusing because I haven't found any copy of the October performance, but spotify had the August 9th (Silver Dokumente & Gala) and August 19th (OdO). I suggest you listen to them. Currently reviewing it. Thanks for your comparative reviews - I always find them interesting! Last edited by Revitalized Classics; Dec-06-2018 at 21:55.